BJP leader L K Advani’s wife Kamla Advani passed away on Wednesday due to heart attack, doctors said. 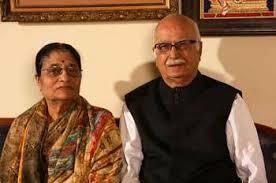 “L K Advani wife was brought to AIIMS after she is suffered a heart attack today. But she is no more.